When it comes to fashion and styling, I wouldn't say that I always play it safe. 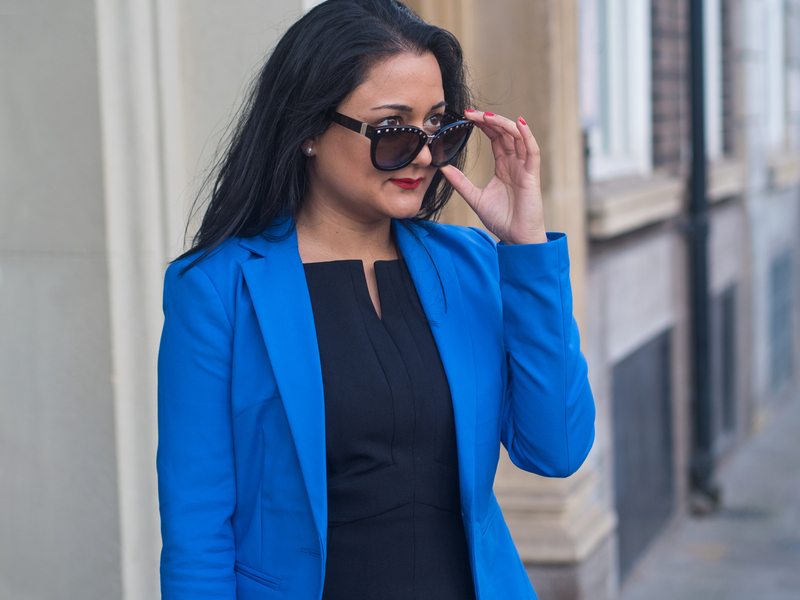 Although I love the classic and timeless look, I also really like wearing bold and bright colours. 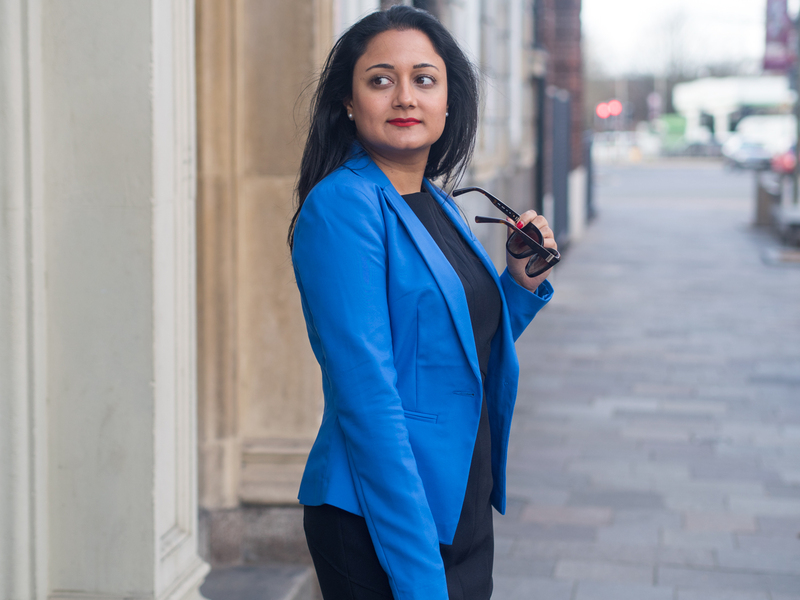 This bright blue jacket could be seen as quite daring by some. However there are ways of wearing and styling statement pieces like this so that they don't look too overbearing. 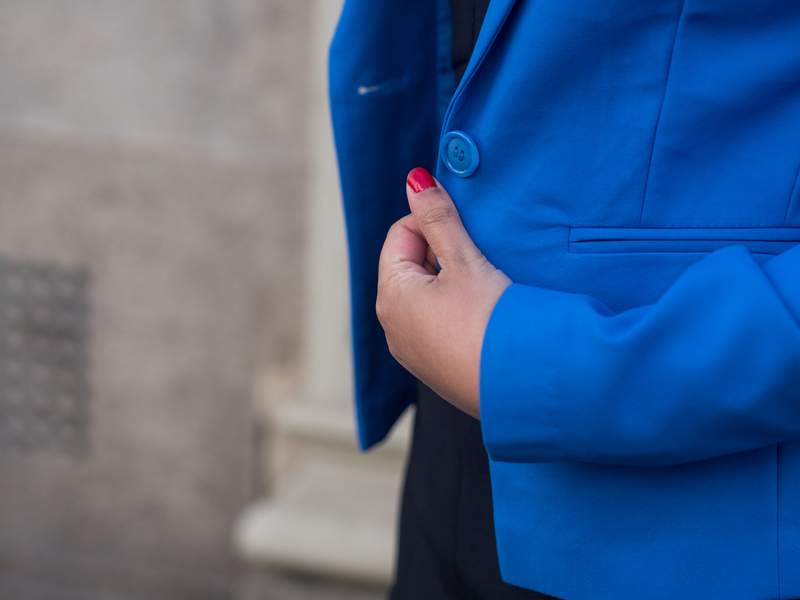 As the jacket is very statement and bright blue, I decided to ensure that the rest of my outfit was neutral. 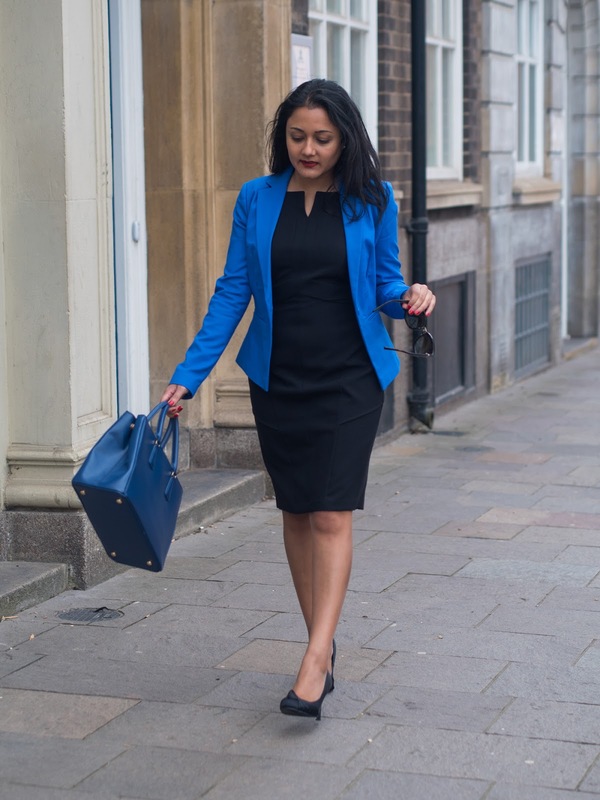 This look was a smart one suitable for office attire so I wore a black pencil dress underneath the jacket with a pair of black shoes. 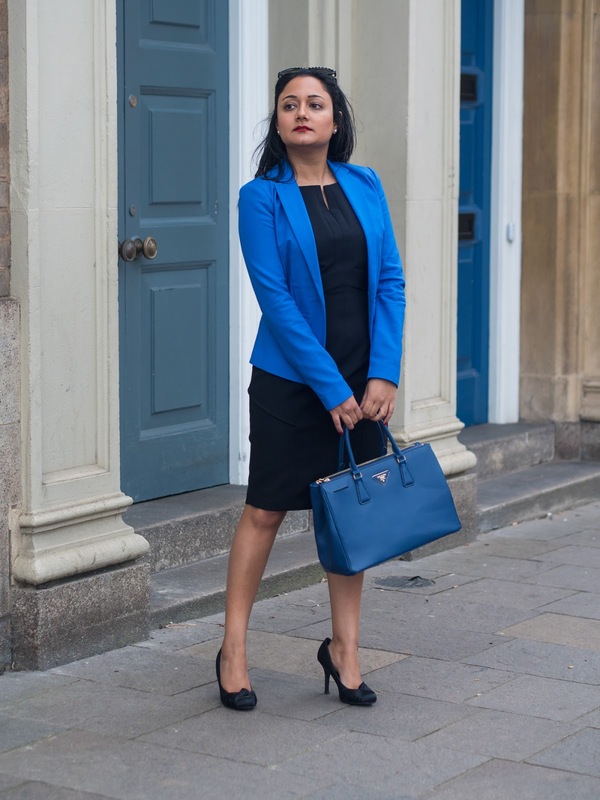 The blue and black really complemented each other and this ensured that the jacket remained the focal point of the whole outfit. Not every statement jacket will necessarily be suitable for everyone. 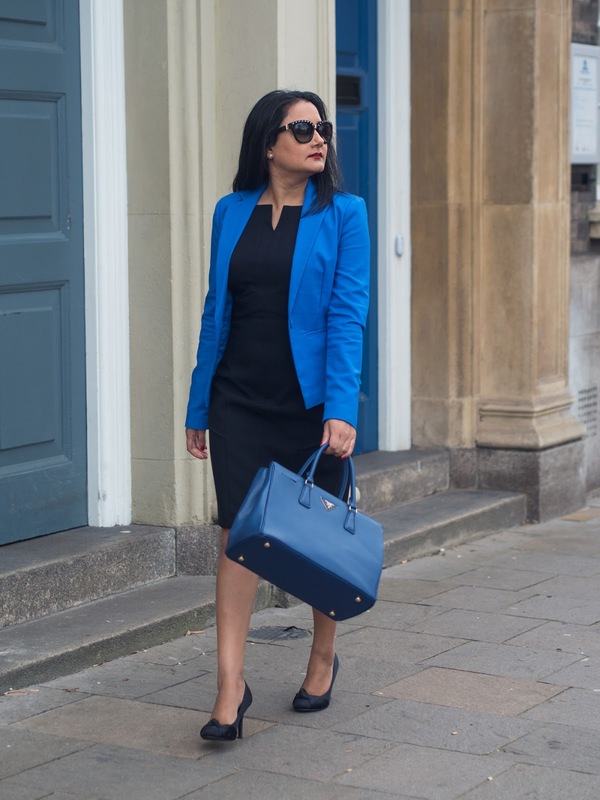 It's good to ensure that the colour suits you and you'll feel most comfortable. 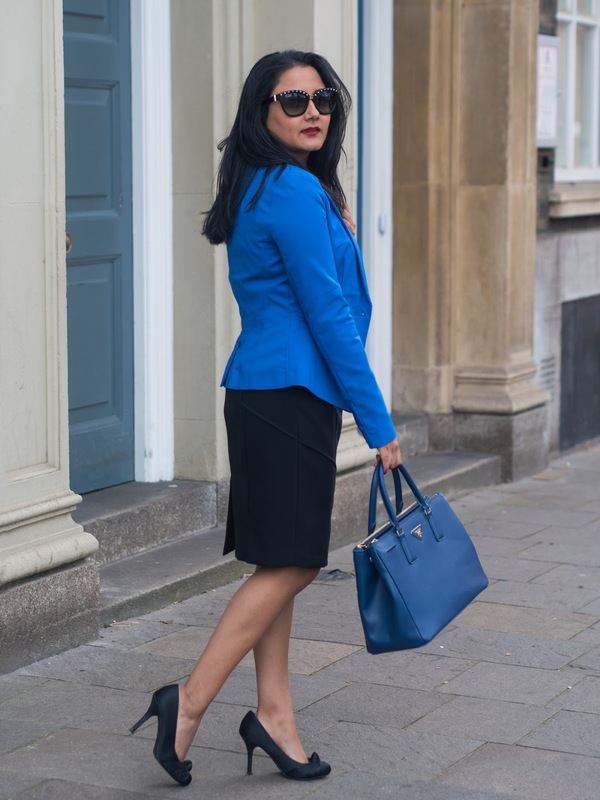 I chose a blue jacket as I think that the colour goes well with lots of items in my wardrobe. It's also very smart for office wear. 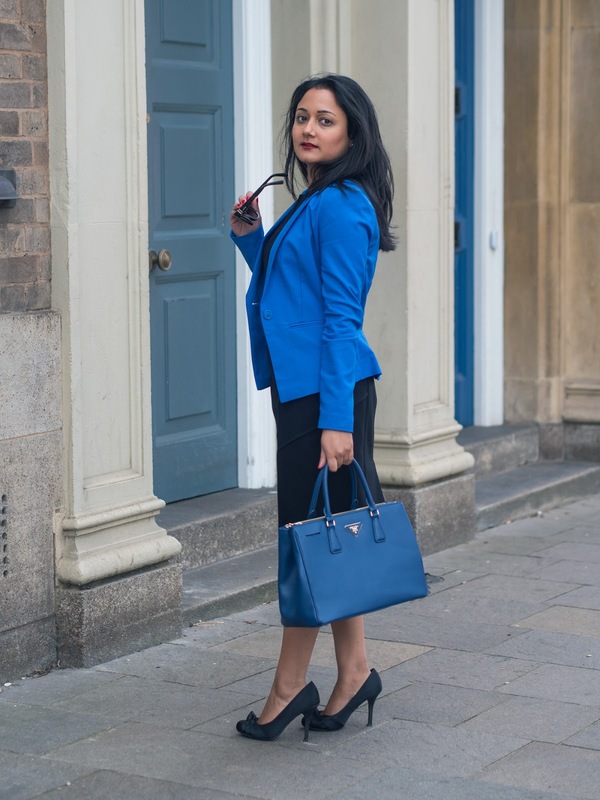 I like to complete my outfits with suitable accessories and here I've chosen my blue Prada bag which fits loads of stuff in! It also works well with the blue jacket. I decided to keep my jewellery minimal, with just a pair of pearl earrings, along with my Valentino sunglasses.